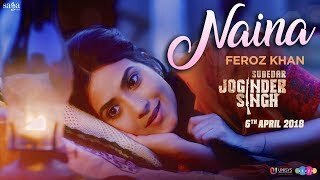 Naina song Lyrics from Punjabi movie Subedar Joginder Singh. Lyrics of Naina is drafted by Happy Raikoti. Naina song is sung by Feroz Khan. The Album features Gippy Grewal, Aditi Sharma in lead roles. Lyrics to Naina song,Naina song translation in english.